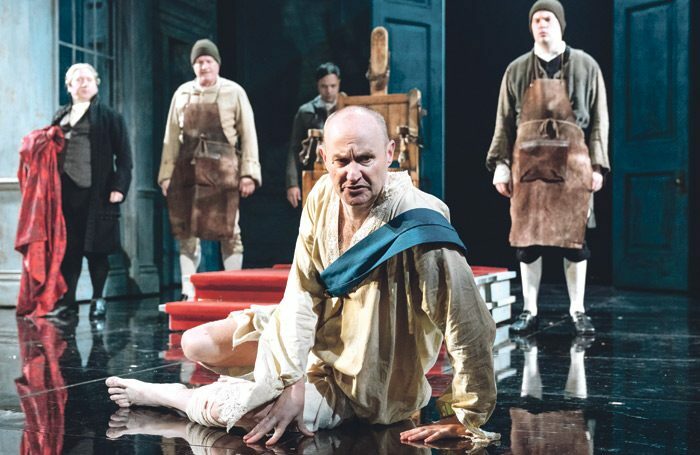 At the recent WhatsOnStage Awards, where Nottingham Playhouse was fortunate enough to pick up awards for The Madness of George III, Adrian Scarborough and I celebrated artists who leave London to work in regional theatre. I also mentioned that many of our most regarded actors worked here early in their career. For some, this raised a question about whether local audiences may feel patronised by a perceived implication that London-based actors are superior to performers who live locally, and that regional theatres shouldn’t be regarded as training grounds. There does seem to be a risk of commentators appearing to presume to tell the people of Nottingham what they should want from their local theatre. The Madness of George III was the highest-selling drama in the Playhouse’s history, with the vast majority of the audience coming from our region. Our audience also grew by more than 10% last season. This seems to demonstrate that this kind of ambitious production is part of what they want to see. The pride our audience felt about a home-grown, large-scale production, featuring an actor of national profile and all the media attention that brought – not to mention a global audience via NT Live – was palpable. Other regional artistic directors recently expressed concern about actors turning down work outside London because it perpetuates the notion that regional theatre is less important. Featuring an acclaimed actor like Mark Gatiss allowed us to mount a large-scale, modern classic that our audience relished and that we wouldn’t have been able to risk staging without guaranteed box office returns. It also helped subsidise some of our other work. It’s all about balance. Examples of our other work from the season included a new main-stage play, Shebeen, by local playwright Mufaro Makubika; the formation of Amplify, a new development programme for local artists; an active participation department who work in communities across the region; and a studio Christmas show by a team of mostly local emerging creatives. Nottingham writer Sophie Ellerby’s new play Lit will open this autumn. Of our recently appointed associates, three have ties to the region, while two are based outside of London. The company of The Madness of George III also included local actors. This is part of a longstanding commitment. Last year we auditioned 400 local actors, and I’m about to direct a community production of Coram Boy, featuring 100 local performers. I was particularly pleased that when we were awarded regional theatre of the year at The Stage Awards in January, an equal emphasis was placed on our commitment to work that reflects our community alongside the organisation being a destination venue. It strikes me that we’re all striving for the same thing: ensuring regional theatres are relevant, vital and flourishing in order to endure these testing times.